Perhaps the most important years of John Coltrane’s classic quartet were the years from 1962 to 1965. The year 1962 was an interesting year for Coltrane. He records Duke Ellington & John Coltrane on September 26, 1962, and releases it in February 1963 on Impulse. Tyner records his debut album Inception. Released on the Impulse! label in 1962, it features performances by Tyner with Art Davis and Elvin Jones. The tune “Up ‘Gainst the Wall” is one of a beautiful, light and cheerful piece. A swinging blues, up-tempo piece. There is none of the later brooding of Coltrane in it. A piece close to what rock saxophone would later play in the 70s and 80s. Very accessible to the new listener to Coltrane and perhaps one of the best entry points to his music. And, at only three minutes and fourteen seconds it is certainly one of the shortest pieces Trane ever recorded. The tune “Big Nick” is presented in a playful way. The image of someone, like a Pied Piper type archtype in front of you, begging you on. Like the ancient Sirens threw Sinbad off his course. 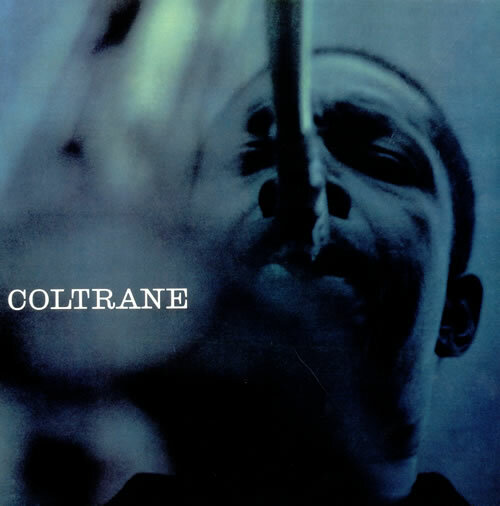 Trane comes in at a minute and half into the piece in a powerful solo on his alto soprano horn of “My Favorite Things.” It is perhaps the first full arrival of the Coltrane sound and it is heard on this important 1962 piece from an incredibly creative time in Coltrane’s life. Already the power of the famous Quartet is evident (and even perhaps, for some, in full bloom) on the exploding outward “Miles’ Mode.” In direct contrast to the playful and cheerful pieces, this piece is one of exploring outward. There is not the cheerfulness in this tune that a place has been discovered and one is happy life “Up ‘Gainst The Wall” and “Big Nick.” This music is searching outward. Listen to the piano of McCoy Tyner on this. His solo foreshadows so much from the young pianist from Philadelphia and had known Trane for so many years. Coltrane lets McCoy show his talents and brilliance. This is perhaps one of the first greatest “breakout” performances of McCoy Tyner on record. I’m listening to it now, as I write this. At around five minutes and forty seconds into the piece, Jimmy Garrison is featured on bass with just Elvin on high top cymbals backing him up. Trane and Tyner return about a minute later in the piece. The piece “Tuji” also has the era of exploration for a particular place rather than claiming a particular place in the world as the first few pieces above suggest. Elvin Jones keeps a deep rhythm in the background while Trane states the theme. Tyner hitting just one chord over and over. For staying in one key and chord it is amazing. Tyner comes in at three minutes with another solo that will define his later style and brilliance in jazz. Jimmy Garrison takes a solo at around four minutes and forty seconds into the piece. Another brilliant piece from Jimmy. Trane comes in at the very end to finish the piece. The mode of the piece is a direct reference to what Trane learned from Miles when he played with him. The “Inchworm” is a beautifully exploratory piece. Searching. But it the searching is combined with the cheerfulness and happiness and spirit as on “Big Nick” and “Up ‘Gainst The Wall.” Again, the powerful saxophone of Trane. The same sound heard so much on his favorite piece he ever recorded, “My Favorite Things.” A distinctly eastern sound to the horn. That of a snake charmer is one way of describing it. The particular piece is perhaps where the entire quartet reached out to eastern sounds with their music. Where Trane acknowledged his devotion to the music. His wife was a Moslem and Trane had studied much of the Muslim faith and the origin of their music in the Middle East. For, with Trane, it is fair to say that by this time he was programming in (channeling?) some of the most important music of the Middle East. He really puts his artistic “flag” in the ground with “Inchworm” declaring that he is creating a new type of jazz that one could only call spiritual jazz. The blues had the heart for its subject. It was a music about being heartbroken. (“I had a blue Monday when my baby left town …”). Something just growing called rock was in the background at the time. But “Inchworm” is predecessor to a link that many new rock stars found in the music of Coltrane. Like the Byrds. Like U2 is discovering now. The conclusion that one draws from this is that a jazz one might term spiritual jazz is Coltrane’s great legacy to the world. But was it simply spiritual jazz and those who love this type of music? Or, was it something else, altogether? Was it perhaps music for a new spiritualism in America? For many Coltrane fans this is a true statement. How many of them are there out there? For that period of time. For today. Good questions. But the right ones to focus on? The music moves our thoughts onto the next piece on the album. “Soul Eyes” is a slow, tempo, ballad. This shows the so-called “gentle side” of John Coltrane that seemed a better PR way to present Coltrane to the public. But it also served as a genuine rest period for Coltrane who had been rushing so much in the past years. A time for reflection at the beginning years of his famous Coltrane Quartet. More than perhaps any other piece, this captures this reflection in the middle of a growing hurricane of music power. The final piece on the album, “Out of This World” offers a powerful Coltrane sound right from the start backed up by the rhythm of Garrison and Jones. Soon, joined by Tyner. At over fourteen minutes in length, it resembles a number of the other pieces of great length on later albums form Trane. Another piece of exploration and searching. In great contrast to “Soul Eyes” and it’s reflective mood. This piece announces that time for reflection is now over. Time for “pursuance” as Coltrane would later announce in one of his suites on A Love Supreme. The 1962 Impulse record Coltrane is perhaps the best place for newcomers to gather. His sound has matured from where it’s been and suggests where it is going. The quartet is tight and working together before Trane went off on a new direction the quartet members couldn’t understand and would all leave him in three years. But here, on this album, there is that joy of discovering the talents of the others in a powerful jazz group. Coltrane embarked on an ambitious European tour with the classic quartet in 1962. So the notes on Trane continue.